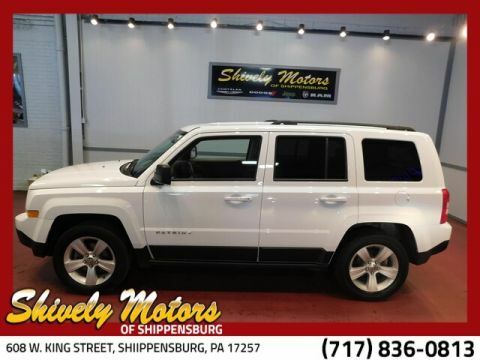 Pre-Owned 2015 Jeep Patriot Latitude SUV in Shippensburg, PA #FD412334 | Shively Motors Inc.
Less than 30k miles!!! 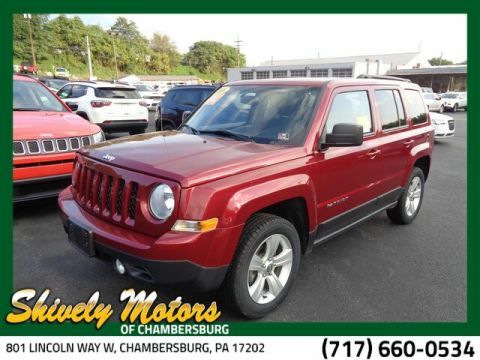 You don't have to worry about depreciation on this superb 2015 Jeep Patriot Latitude!!!!... 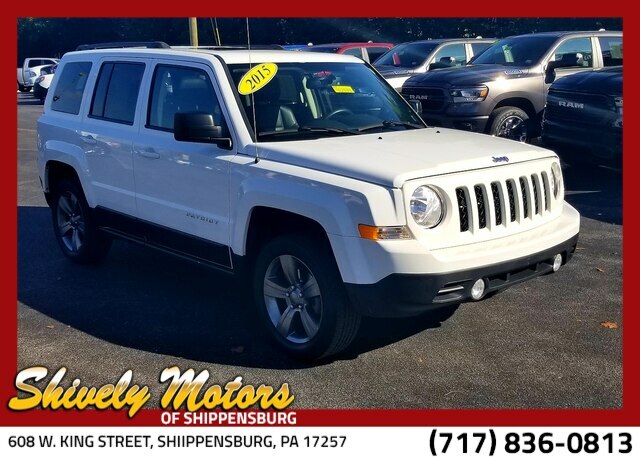 Jeep CERTIFIED** Safety equipment includes: ABS, Traction control, Curtain airbags, Passenger Airbag, Front fog/driving lights...Other features include: Power locks, Power windows, Heated seats, Air conditioning, Cruise control...Chrysler Certified Pre-Owned means you not only get the reassurance of a 3Mo/3,000Mile Maximum Care Limited Warranty, but also up to a 7-Year/100,000-Mile Powertrain Limited Warranty, a 125-point inspection/reconditioning, 24hr roadside assistance, rental car benefits, and a complete CARFAX vehicle history report. Less than 30k miles!!! 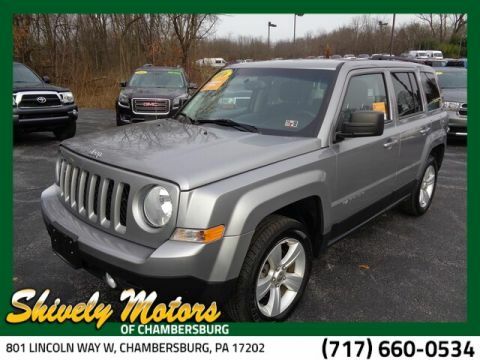 You don't have to worry about depreciation on this superb 2015 Jeep Patriot Latitude!!!!... 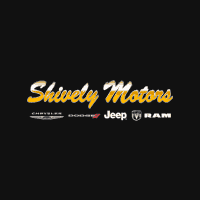 Jeep CERTIFIED** Safety equipment includes: ABS, Traction control, Curtain airbags, Passenger Airbag, Front fog/driving lights...Other features include: Power locks, Power windows, Heated seats, Air conditioning, Cruise control...Chrysler Certified Pre-Owned means you not only get the reassurance of a 3Mo/3,000Mile Maximum Care Limited Warranty, but also up to a 7-Year/100,000-Mile Powertrain Limited Warranty, a 125-point inspection/reconditioning, 24hr roadside assistance, rental car benefits, and a complete CARFAX vehicle history report.